Arcade Belts; The Original Adventure Belt with loads of stretch. These are our fav belts out there which all of us here use. Arcade Belts are a belt manufacturer for the action sports market focusing on stretch non restrictive belt. Arcade achieve this by using an elasticated poly blend material with a plastic clip buckle with quick release tabs. The first ever belt designed for all your adventures. Built to move, to use and abuse and to be comfortable through any activity. 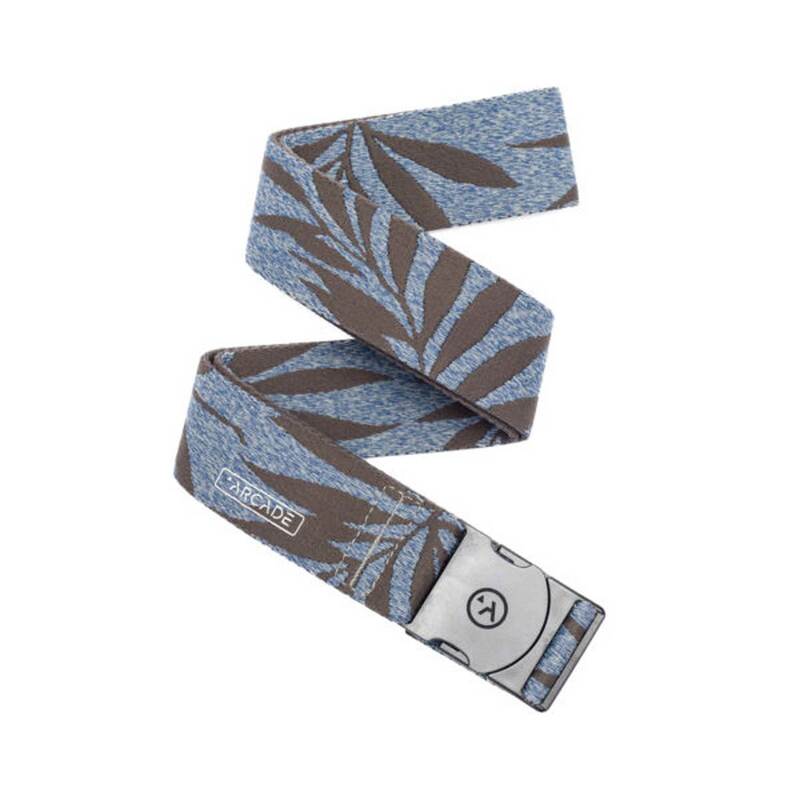 This is the Canopy belt with brown leaf graphic on a blue belt with Arcades durable black clip buckle.